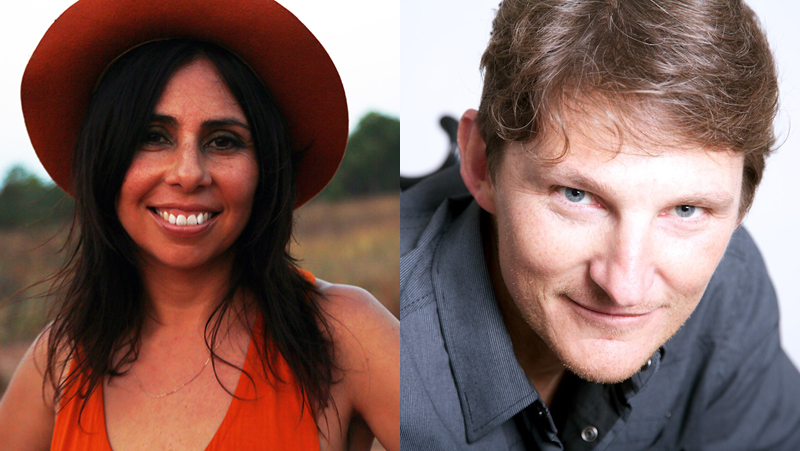 Two up-and-coming screen producers from Northern NSW, Tatiana Velasco (Lennox Head) and Mark George (Coffs Harbour), are about to escalate their careers after being selected to participate in the 2017 Screenworks Regional Producer Elevator Program. The program will provide both with tailor-made career development support in addition to meetings with mentors, key industry bodies and multiple other opportunities. Both Tatiana and Mark have prepared career plans that include opportunities they want to pursue, people they want to work with and courses they want to attend. Each producer will be allocated $3,500 to implement these plans and will also attend the Screen Producers Australia Screen Forever conference in Melbourne next month. Screenworks hopes that these two producers will achieve the same success experienced by the two producers selected for last year’s pilot program. Over the past year Darius Devas and Poppy Walker have used the program and support from Screenworks to make valuable industry connections, gain professional mentor advice and career advancements. Darius has attended meetings with key producers and industry executives, has co produced a series for ABC iView, has a number of other projects in development and was selected as part of the Screen Producers Australia’s Ones to Watch program. Poppy has been receiving mentorship from producer/director Jennifer Peedom (Sherpa), produced a number short films and is receiving advice on project development. The two regional screen producers were selected by an independent panel of screen industry professionals as part of a highly competitive process. Screenworks Regional Producer Elevator Program was developed in close consultation with Screen NSW and Screen Producers Australia. This is the second year that the Regional Producer Elevator Program has been offered by Screenworks. The program is designed to build the skills and capacity of two Northern NSW emerging producers. By funding and supporting the development and implementation of a career plan for each of the selected participants it is expect the program will support the producers with project development, skills development, connections and support from professional producers and connections with metropolitan-based production companies. Our emerging producers will increase their skills and capacity so that they are more competitive when applying for funding, placements and professional positions on larger productions, all to the benefit of the Australian Screen Industry. Screenworks’ research has identified a strong demand for these types of professional opportunities in regional Northern NSW. In particular, we want to help emerging producers that are struggling to meet eligibility criteria of highly competitive funding and professional placement programs offered by organisations and other industry agencies. To help achieve this, we have secured funding from Screen NSW and the support of Screen Producers Australia to implement a program especially designed to elevate the careers of talented Northern NSW based emerging producers. The ultimate goal will be to achieve new opportunities for the participants that will lead to the development of market informed projects ready for financing.